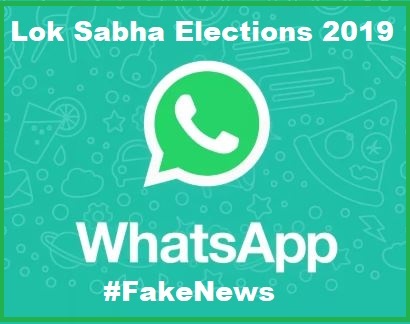 In this upcoming 2019 Lok Sabha Elections WhatsApp on 2nd April 2019 unveiled a tip line fact-checking service in India to help restrict the spread of fake news & misinformation. The service will enable users to send messages, including images, video, and text in English, Hindi, Telugu, Bengali, and Malayalam. Users can check the authenticity of the information or rumors received on the platform by reporting the forward to the WhatsApp number +91-9643-000-888. The project’s aim is to study the misinformation phenomenon at scale natively in WhatsApp. The response will indicate if the information is classified as ‘true’, ‘false’, ‘misleading’, ‘disputed’ or ‘out of scope’, and include any other related information. Pictures, video links or texts in Hindi, Telugu, Bengali, Malayalam, and English will be reviewed by WhatsApp. This tip line feature has been developed by WhatsApp in collaboration with India-based media skilling startup PROTO. The tip line feature will help to create a database of rumors to study misinformation during elections as part of a research project commissioned and assisted by WhatsApp.